Hello Refashion Co-op. Yesterday I told you about my Nancy Drew clutch purse. I couldn't stop there. 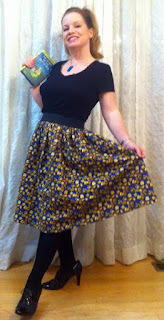 I made a very simple skirt to go with it. A book purse needs a clock skirt, right? 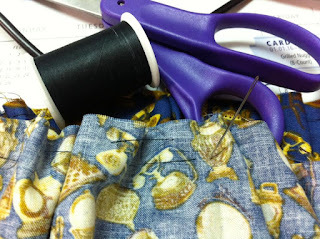 I basted it together and added an elastic waistband. From a distance it is not obvious it is clocks all over this skirt. I think that makes it more wearable. You can see more at I Can Work With That here. I think every girl needs a clock skirt. :) Nice job. 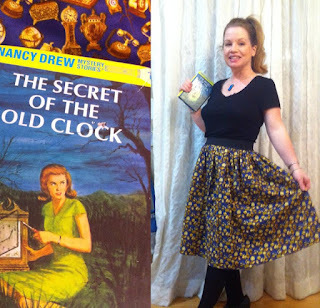 Very cute and very Nancy Drew! Thank you ladies. The clock fabric was begging to be used. 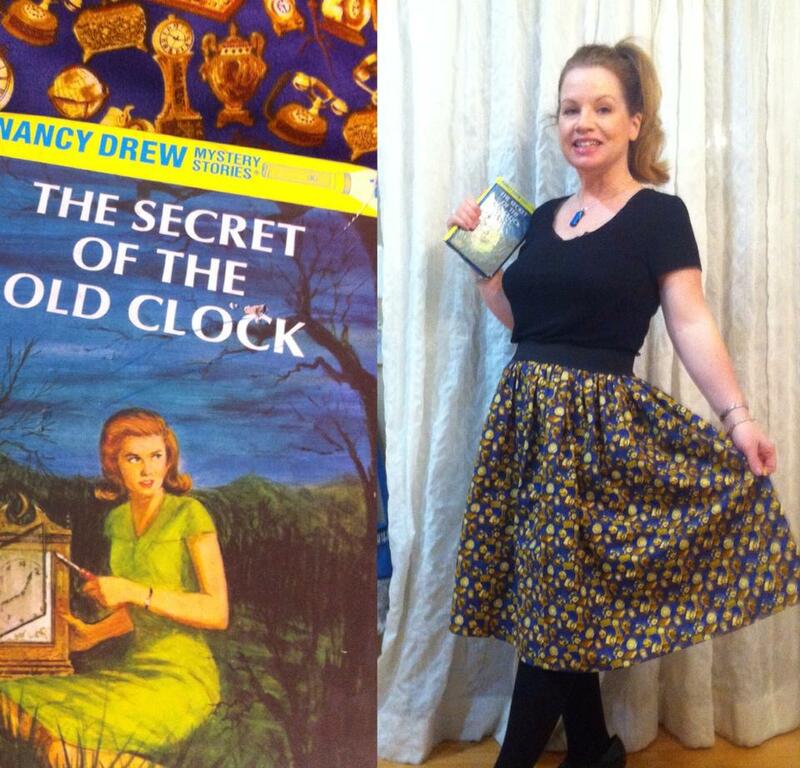 And who doesn't love Nancy Drew.